Winter means that the wind is harsh and the temperatures are dropping… but luckily for us, we live in Texas where the sun still shines and the cold isn’t all that cold. Which means the outdoor strolls and adventures can continue! 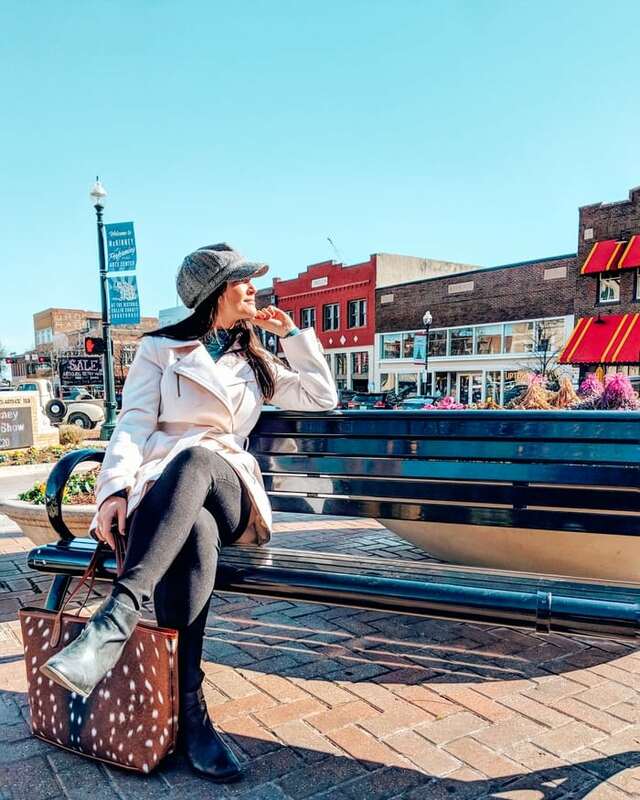 We went to our favorite town square this weekend: Historic Downtown McKinney. My favorite thing about McKinney is its small town vibe and charm. 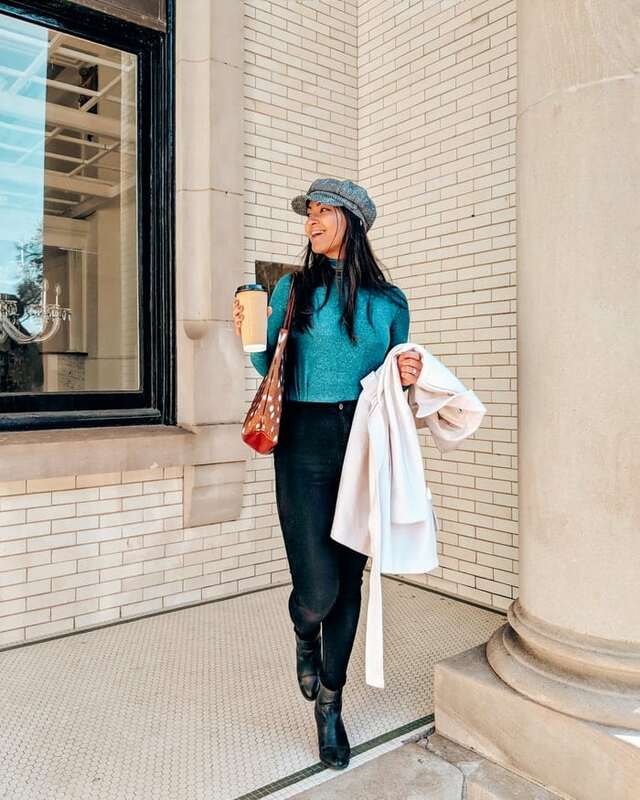 The people are friendly, the shops are local, and it is totally walkable. 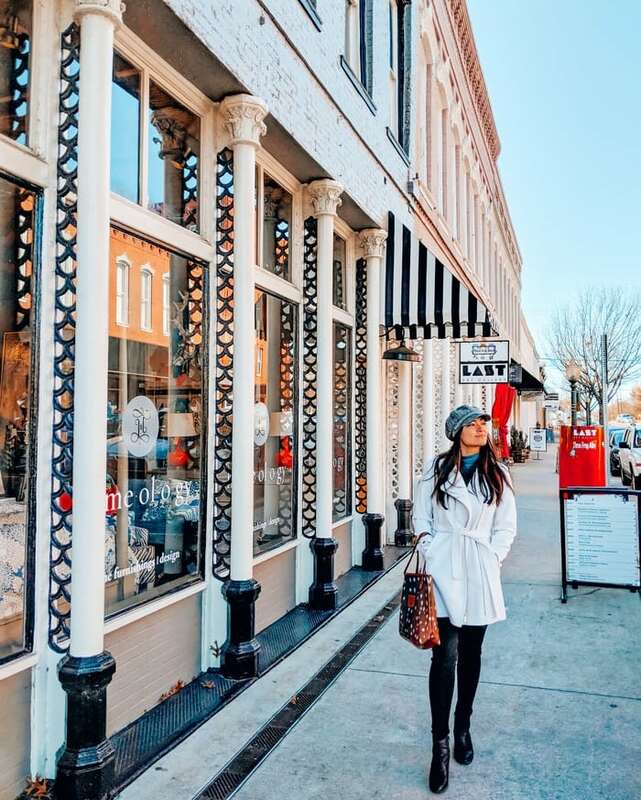 Here are some of my recommendations for what to do when you’re visiting Historic Downtown McKinney this winter. This is a given. 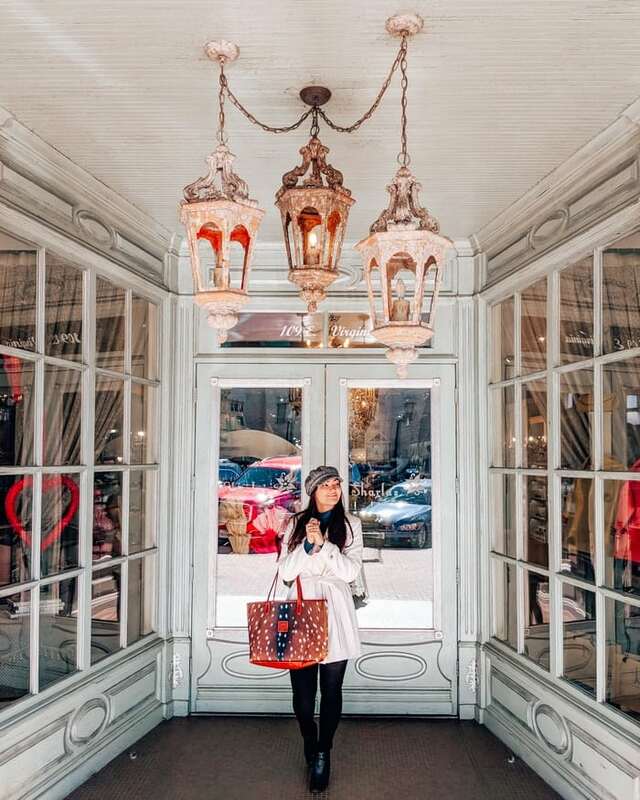 With its many local boutiques, you’ll have a ton of stores to explore. 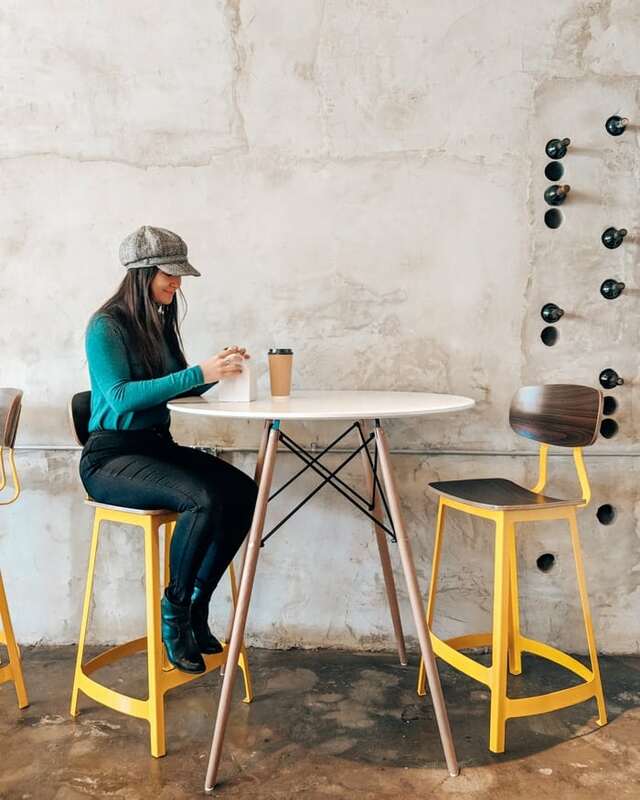 This is my favorite lunch spot in McKinney. 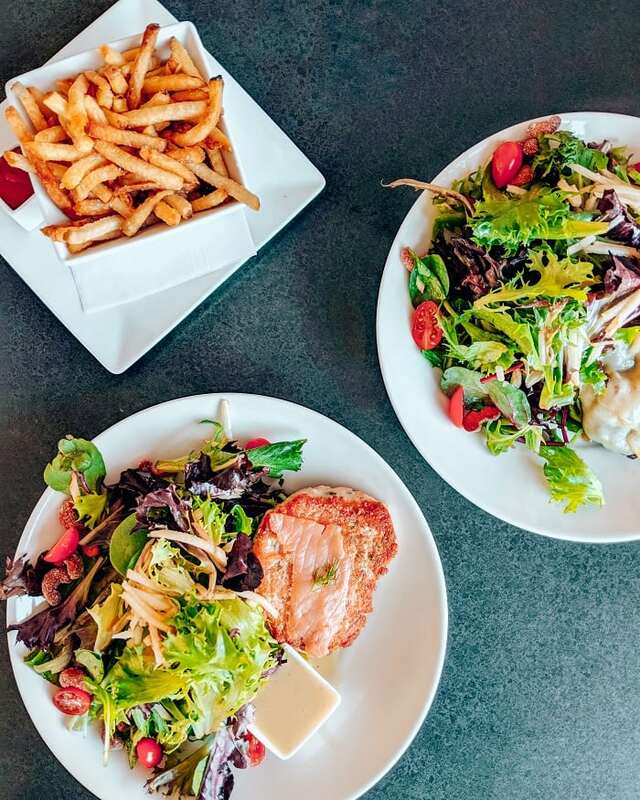 I recommend the salmon salad and fries. One of the reasons I love this restaurant so much is it’s fun, eclectic vibe. Look at that ceiling and that lighting! Also, how gorgeous are these tiles? 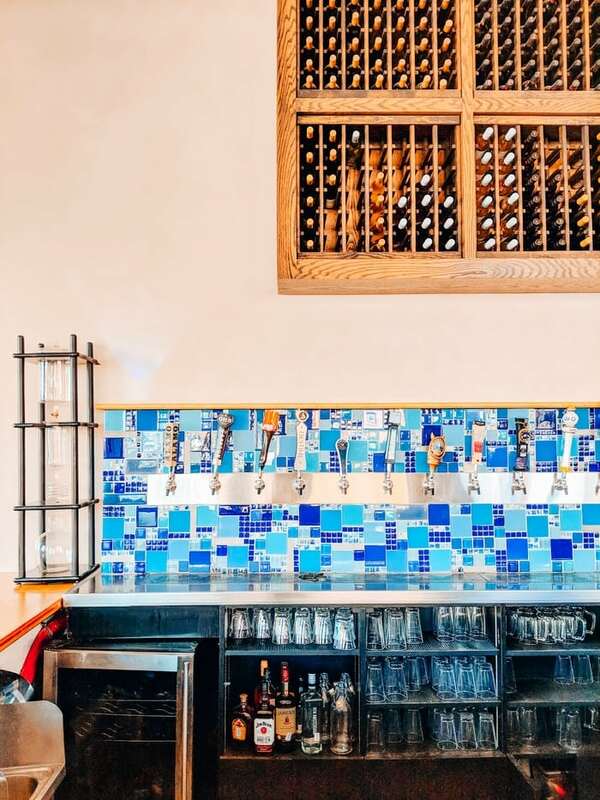 You can grab a drink at this pretty and fully stocked bar with your food! 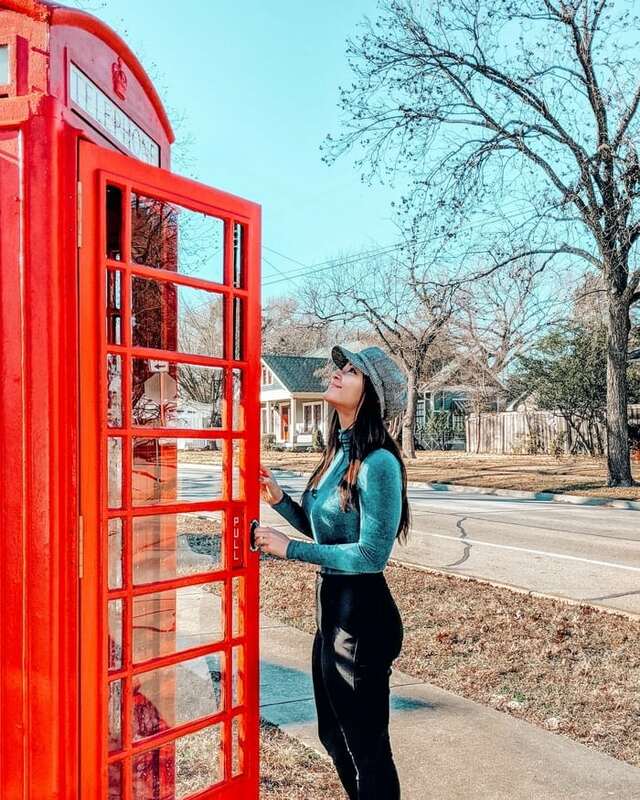 I don’t know anywhere else you can find a London phone booth in Dallas. We stumbled upon this phone booth on Virginia Ave. on our way to the square. You can’t miss it, it’ll be on your right hand side as you’re headed to McKinney from Central Expressway. It’s on the corner of a residential street, so you’ll just have to park in the neighborhood and hop out for a quick photo. What’s in that box? It’s a huge delicious rice krispy treat from LAYERED bakery right across from the courthouse. Fair & Square Imports is my favorite shop to explore in Downtown McKinney. 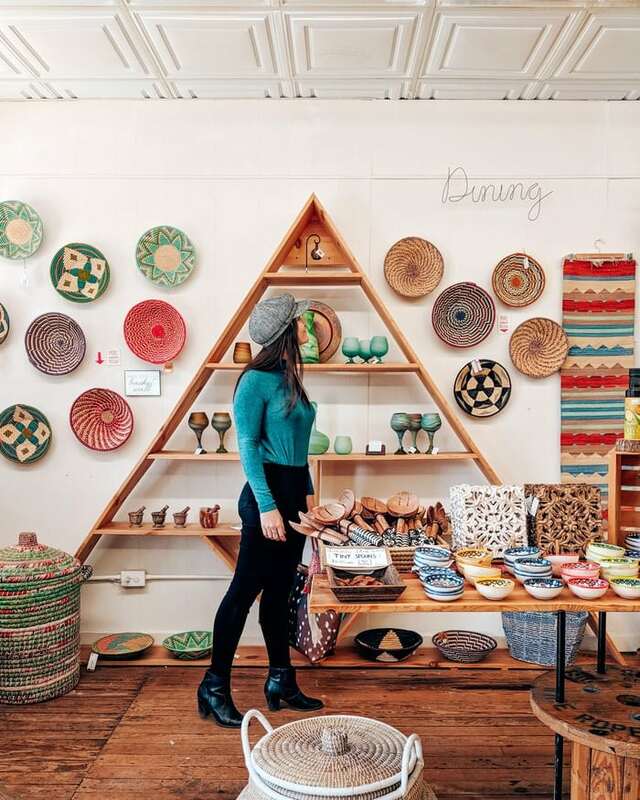 It hosts gorgeous one-of-a-kind items from countries around the world, and it’s goal is to help develop the economy through buying/selling their local goods. The woven bowls section reminds me of Rwanda and brings me so much joy! Because it’s cold out and coffee soothes the soul! I actually got a matcha latte from Filtered Coffee Shop and Harrison grabbed a tea. Anything to warm us up a bit! 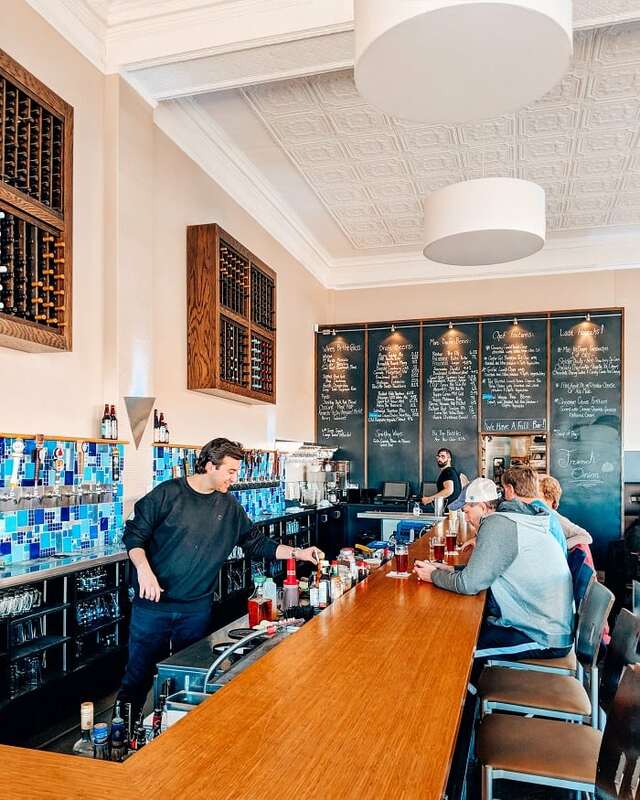 Regardless of what you do, the point is, you should check out Historic Downtown McKinney this winter. Small, vibrant towns like this one have the unique ability of warming your heart a bit!